← Sri Lanka: Time Travel on a Train. The Sea Turtle Hatchery in Habaraduwa serves an important role in protecting these beautiful animals. Once the adult females bury their eggs in the sand and retreat back to the ocean, the staff digs up the buried eggs and reburies them in a protected garden on the property. Once the eggs are hatched the staff places them in a salt water pool to mature. When the babies are bigger and stronger, they are released into the ocean. This small step greatly increases their chances of survival. This non-profit organization has released more than 500,000 Sea Turtles into the ocean. 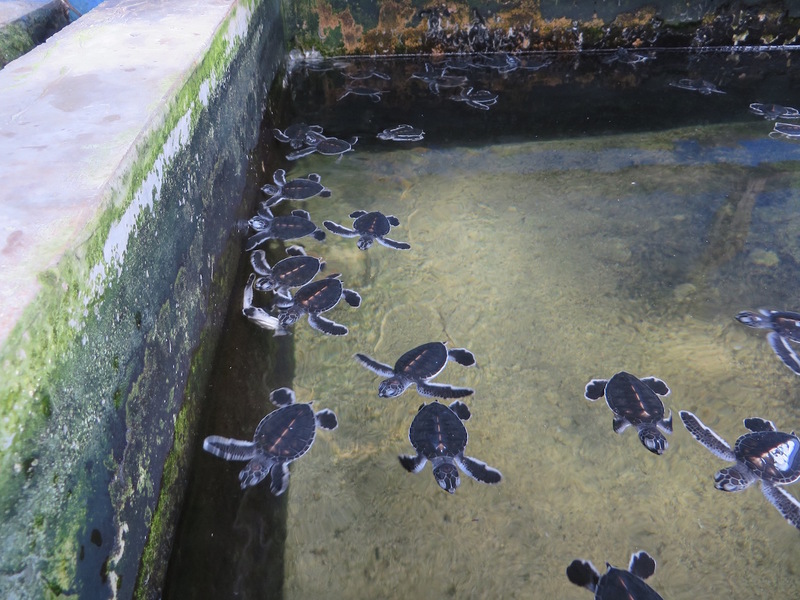 It’s an incredible opportunity to see the egg garden and 2 day old turtle babies waiting to be released into the sea. If you are planning a visit to Sri Lanka, this hatchery is not to be missed! 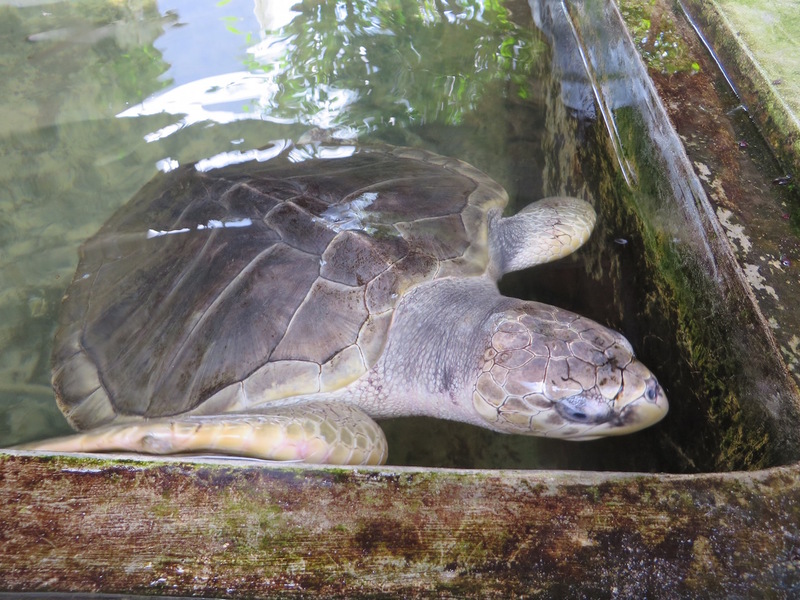 The organization also rehabilitates injured adult sea turtles. On our visit we spent time observing this guy who lost part of his flipper getting tangled up in a boat propeller. It was very sad but luckily the fisherman whose boat injured the turtle, rescued it and brought it here to be rehabilitated. If you would like to contact the hatchery to provide a donation or to learn more about their program, please click the link below. This is a wonderful center being run by locals with big hearts I know they would appreciate the help and/or a visit! This entry was posted in Asia, Destinations, Sri Lanka and tagged Galle, Habaraduwa, sea turtles, Sri Lanka. Bookmark the permalink.